Having a rotator cuff tear is a common injury that can be incredibly serious. In order to properly recover from this injury, you need to go through proper rehabilitation. It’s important not to overwork the muscles, but to strengthen it properly. As complicated of a joint that the human shoulder is, it’s best to let a professional help you through your therapy. First it’s best to know exactly what this injury is, so that you understand how it’s going to be treated. If you can picture this, than know that the ball of your shoulder is sitting in a shallow socket in your shoulder blade (also known as the scapula)and your collar bone (clavicle). Keeping this socket steady and stable is a group of muscles that hold the ball of your shoulder steady but also provide a rather wide range of motion. Of this group of muscles, there are four that make up what is considered the “rotator cuff’ of the shoulder; the supraspinatus, infraspinatus, teres minor, and the subscapularis. These are the muscles that allow you to rotate your shoulder. 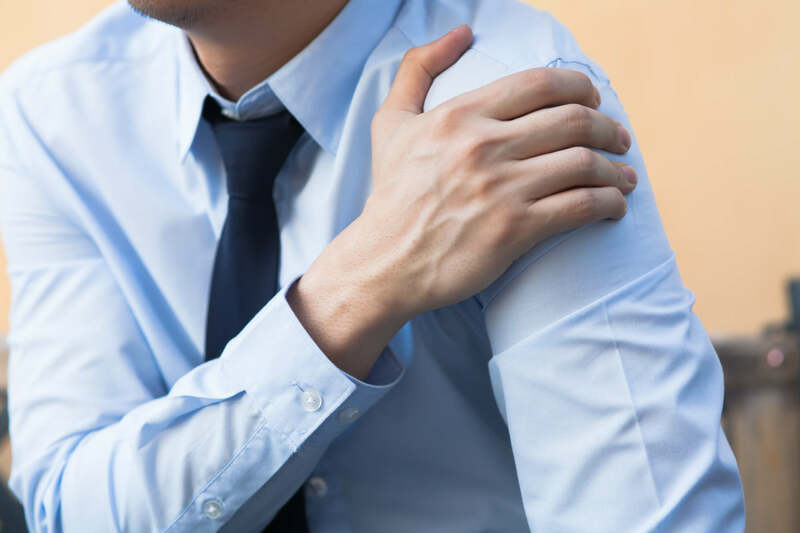 When you’ve been told that you’ve torn your rotator cuff, you’ve literally torn through one or more of these muscles, or the tendons attached to them. It will vary from person to person, but there are typical signs and symptoms for this kind of injury. Obviously, the first and foremost sign in pain. Shoulder pain is not a normal pain and should never be ignored. It’s telling you that something is wrong and is going to get worse unless fixed soon. Pain, though, doesn’t necessarily mean a torn rotator cuff, as it could mean just a strained muscle or tendon. This does lead to torn rotator cuffs, though, so take care not to overwork your shoulder in these cases. Torn rotator cuffs have quite a bit of swelling involved, so if your shoulder is swelling, seek medical attention. You’ll also lose your full range of motion. If you can’t raise your arm even half as far as your could before the pain started, then chances are there is something seriously wrong. So, when you’re attempting to recover from this injury, you’re working to strengthen these muscles evenly while not putting too much pressure on them. You’re also working to be able to get as great a range of motion as possible through this therapy, which makes it unlike any kind of rehabilitation therapy you’ve likely seen before. You’re not working on building muscle, like regular workouts, but to build strength and flexibility. Now it’s best to remember that you should always consult you doctor or your physical therapist about any injury you sustain. Your physical therapist will put you through a routine that is best for you. Going beyond what is recommended could have devastating effects on your recovery, going so wide as to worsen your injury in general. When you start working out your shoulder again, since you’re working on strength and flexibility, you’ll likely start working with light weights. This will result in less fatigue than you’ve likely been used to when lifting weights regularly, but note that fatigue does not make a workout. You don’t want to overdo the amount of weight you’re lifting, so it’s best to consult your physical therapist before choosing a limit. You’ll do a specific amount of reps with each exercise prescribed to you, and tend to rotate through them in a circuit manner. Again, you’ll need to consult with your physical therapist for what would be best for you. Always use light weights. You don’t want to injure your shoulder more by trying to lift something it isn’t able to handle. Consult your physical therapist for a correct weight for you. Warm up your shoulder prior to beginning the workout by going through the motions without the weights. If your physical therapist has given you a specific warm up routine, follow that. Don’t get frustrated if this workout isn’t as fulfilling as your previous ones. This is still therapy, as opposed to a regular workout. Patience is needed as you undergo healing. If preferred, you can use resistance bands instead of weights, but you need to consult with your physical therapist first. Be sure to ice your shoulder after every workout. It will reduce swelling and help your shoulder heal properly. Make sure you’re giving your shoulder proper rest. Don’t overdo the workout. Don’t go golfing or play tennis until you’re fully healed. You’re still able to do leg training if you need something more intensive. Just be sure that your shoulders aren’t involved in anything outside of what your physical therapist has ordered. Injuring your rotator cuff is a serious injury, but it’s not one that you can’t recover from with the right therapy and pace. Always be sure to consult your doctor and physical therapist before trying anything on your own, though, as you don’t want to make things worse for yourself. want to learn more on how you can heal your rotator cuff tear naturally without medications, injections, or surgery? Click here to register for the Valparaiso Rotator Cuff Workshop. Click here to register for the Crown Point Rotator Cuff Workshop.